Surrounded by greenery, this masonry structure, surrounded by the group by the friendly Wellness Chalets, is in a dominant position on a truly exceptional panorama. 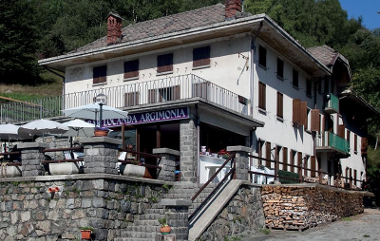 The cozy restaurant also has a large panoramic terrace, overlooking the valley and the Biellese hill of the Serra. The restaurant offers a rich buffet of local dishes. 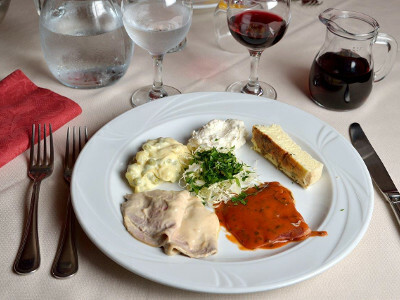 Among the à la carte specialties, the well-known mixed fry alla piemontese, both salted and sweet. Reservations for lunches and dinners are welcome. 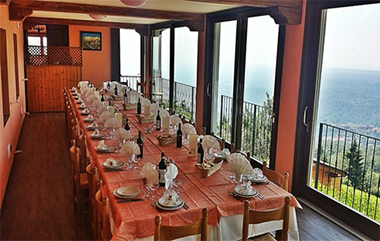 This structure provides the catering service to guests of the Chalet Wellness, where special wellness experiences are developed. GENERAL SERVICES: Sun Terrace, Viewpoint, Private Parking, Pets Allowed, Wi-Fi.